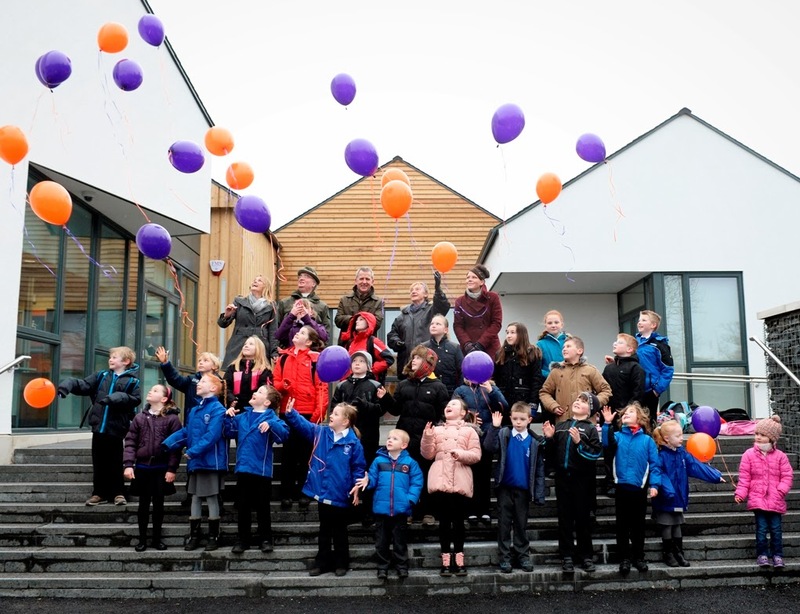 Primary school children in Kirkmichael have fallen head over heels in love with their brand new school, built by South Ayrshire Council on the site of the old Kirkmichael primary school and opened last week (Wednesday 12 February) by Councillor Margaret Toner, Portfolio Holder for Lifelong Learning. Construction has taken just over a year, and excited children and eager teachers have now moved to the new school from their temporary location at McCosh Hall, where lessons had been delivered during construction of the new school. The old school building had been constructed in the 1970s and was no longer fit to meet the demands of a 21st century education – and it was decided that a new school building was the best option. Councillor Toner said: “It was a sheer delight to see the joy on the children’s faces today as they went into the new school. 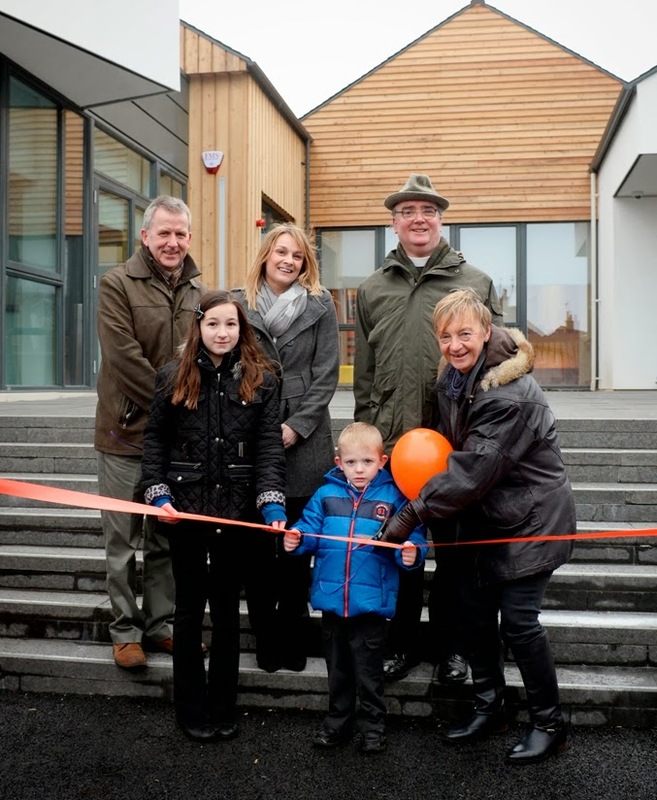 This project clearly demonstrates our commitment to rural education and I am absolutely thrilled to see Kirkmichael primary school open – it really is a fantastic building. “It is light and spacious and has been thoughtfully designed to maximise the space on the old school site, with brilliantly equipped classrooms and a superb lifelong learning facility on offer to the whole community. 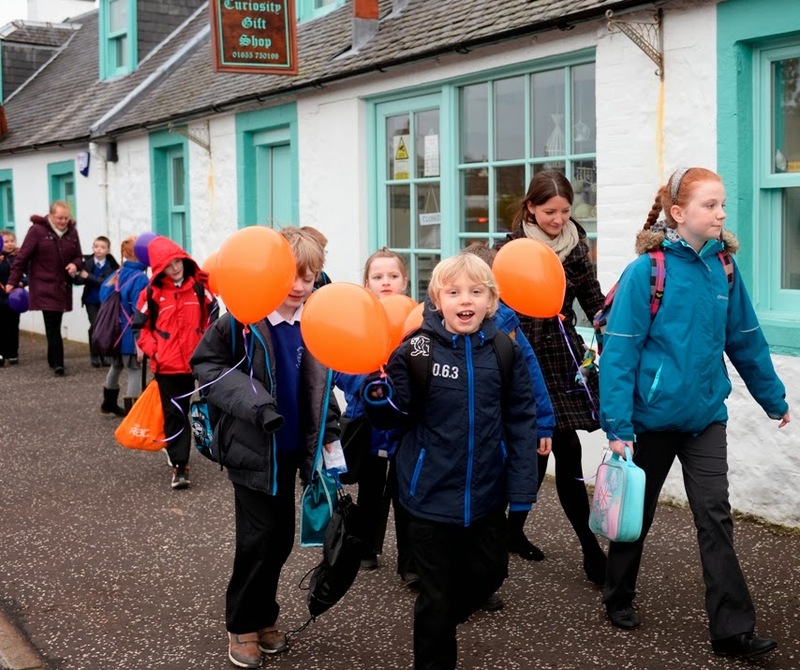 “Add to that a spacious assembly and dining area, first-class games areas and changing facilities and we have an exceptional resource in the heart of Kirkmichael which will benefit the whole community, with secure access for the community to use the lifelong learning room when not in use by children. Head Teacher Karen Butchart added: “It’s been very exciting to watch the new school being built, and we are all thrilled to have moved into this fantastic building. “The new facilities and improved opportunities offered by our new school will make a big difference for pupils, with purpose-built modern facilities that will really help us deliver Curriculum for Excellence. Kirkmichael primary school is the second new rural school in South Ayrshire, constructed less than two years after the completion of Colmonell primary, which opened in 2012. Councillor Toner continued: “Our £2.3 million investment in this new school will deliver a huge boost to learning in the local area and I hope it will become a well-used and important community focal point delivering high-quality modern learning in a superb educational environment. During January, the number of houses coming onto the market for sale in Scotland remained steady, says the RICS January Residential Market Survey. Last month a net balance of 27 percent more chartered surveyors reported an increase in new instructions. Despite this, the amount of potential buyers continued to surge ahead of supply for the ninth consecutive month, with a net balance of 37 percent of respondents reporting a growth in demand. However, some surveyors note that supply is expected to increase as we enter the traditional ‘spring bounce’. With the gap between steady supply and rising demand not seeing any considerable change, house prices continued to grow. During January, a net balance of 38 percent more respondents across Scotland reported an increase in prices, with the cost of a home now rising since May 2013. Chartered surveyors also noted the continued positive impact of the Home Report on the housing market in Scotland, with 78 percent of respondents reporting that it has reduced the need for multiple surveys. Sarah Speirs, Director RICS Scotland, commented: “Prices are on the up in Scotland and this is driven largely by a lack of properties coming onto the market. With a growing number of people now in a position to buy a home, there are simply not enough properties to satisfy demand. 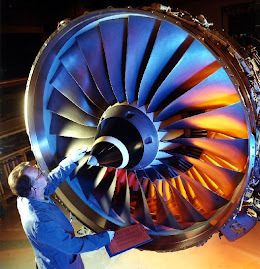 The upshot of this is that prices are increasing in many areas. However, RICS members do expect an increase in supply in the coming months as the traditional spring bounce begins to take effect. 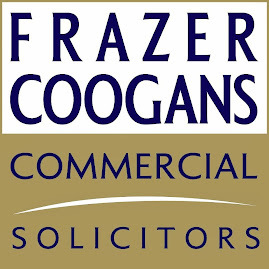 Looking ahead, the more positive outlook continues with a net balance of 49 percent more chartered surveyors predicting transaction numbers in Scotland to increase over the coming three months, while expectations for future prices are also strongly positive. GRAND National winning jockey Ryan Mania, racing legend Peter Scudamore and Scotland’s leading National Hunt trainer Lucinda Russell head the line up for a special Cheltenham Preview Dinner at Western House, Ayr Racecourse on Friday 7 March. The stellar line up will discuss the leading races at Cheltenham and with all three participating at the Festival in one form or another a fascinating night is in prospect. The charity event is being organised as a fund for Debra Scotland, the charity which works on behalf of people with the genetic skin blistering condition Epidermolysis Bullosa (EB). Borders born Ryan Mania leapt to prominence last April when he rode Auroras Encore to victory in the Grand National at Aintree (pictured above). He is currently enjoying his best ever season having ridden 36 winners to date. He will have several fancied mounts at Cheltenham. Lucinda Russell trained Brindisi Breeze to win the Albert Bartlett Hurdle at Cheltenham in 2011 and is firmly established as Scotland’s leading jumps trainer and is on course to beat Lenny Lungo’s all-time record of 63 winners trained in a season. 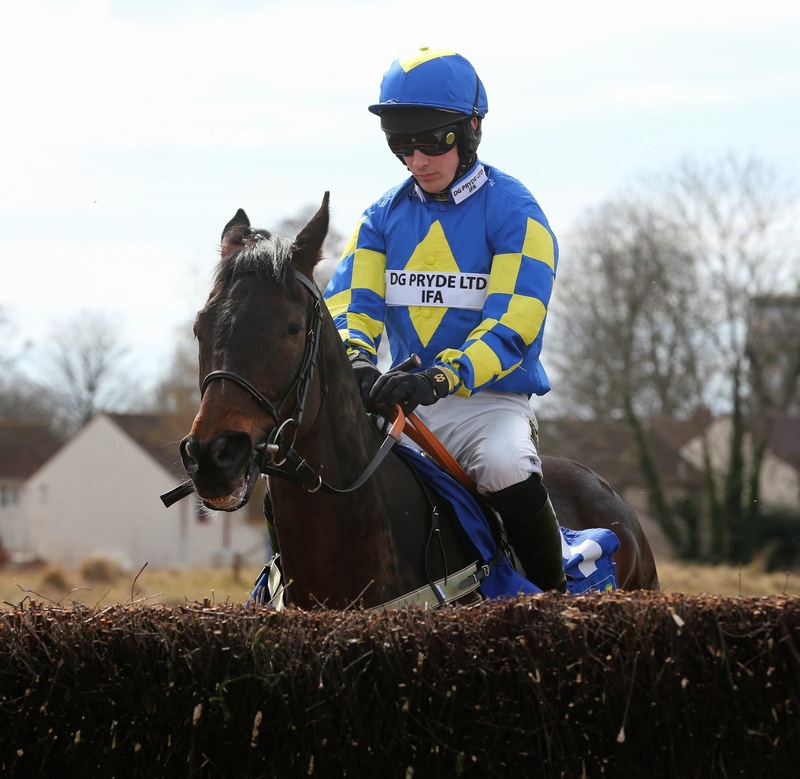 Lucinda will have several Cheltenham runners. 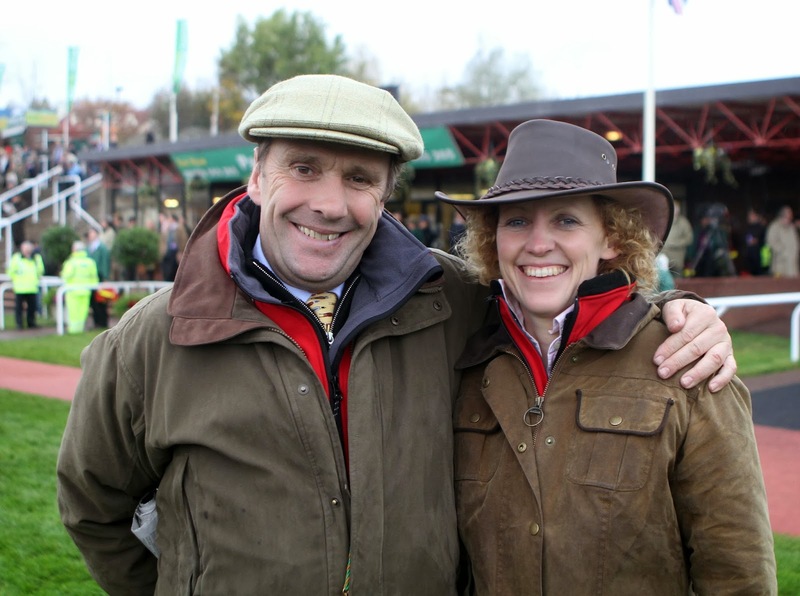 Lucinda’s assistant trainer and partner Peter Scudamore is an eight time Champion Jockey and rode two Champion Hurdle winners at Cheltenham and also a Queen Mothers Chase winner. Epidermolysis Bullosa (EB) is a group of genetic disorders that result in fragility of the skin and, in some cases, other internal membranes and organs. Blisters, open wounds and sores form as a result of the slightest touch, rub or trauma. EB is likely to affect 1 in 17,000 live births and it is estimated that there are currently 5,000 people with the condition in the UK. Tables for the event are available at £750 for a table of 10 or £1000 per table including full drinks package. Ayr Racecourse and the associated Western House Hotel are Founder Members of the Elite Ayrshire Business Circle. 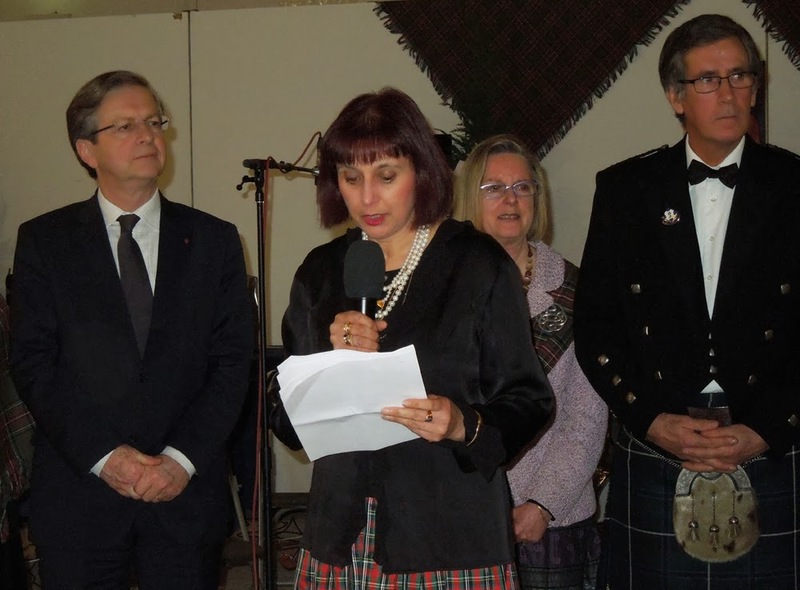 South Ayrshire Provost Helen Moonie has attended the 30th annual town twinning Burns Supper in the French town of Saint Germain-en-Laye with members of the Ayr Town Twinning Association. “The most successful town twinning event I've been to!” she said. 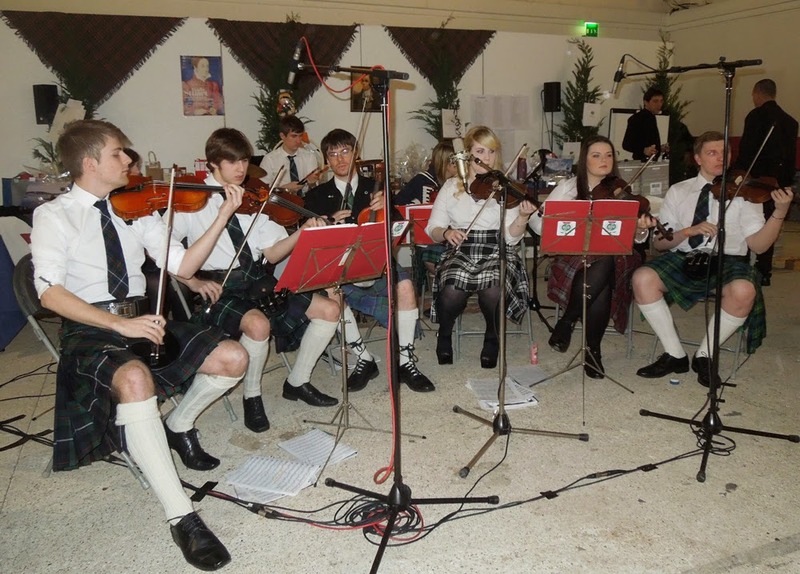 With over 300 tickets for the event sold out in advance – with a long waiting list – Provost Moonie attended the event along with a party of 22 from South Ayrshire, which included town twinning representatives from Ayr and members of the Ayrshire Fiddle orchestra Pictured below), who played songs by Burns and traditional Scottish music to the enthusiasm and delight of their French audience. 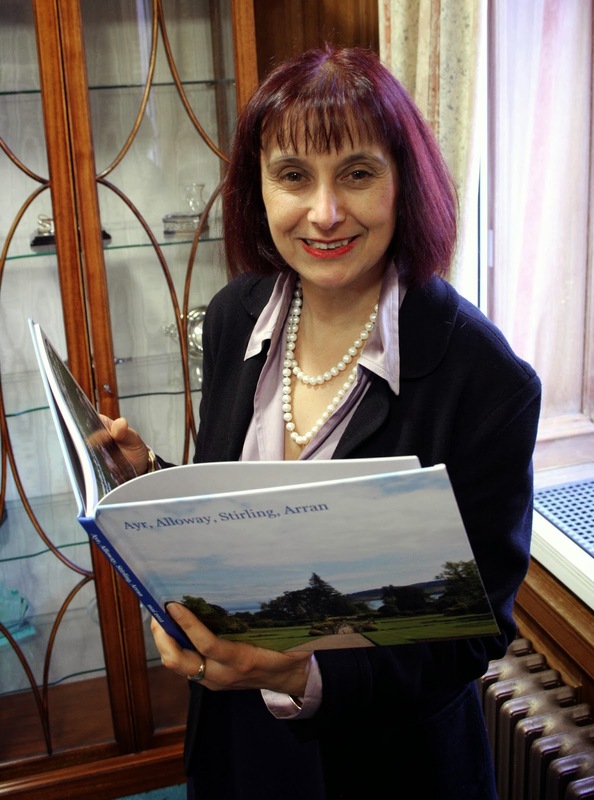 Ayr Town Twinning Association (ATTA) was founded in 1984 with the aim of fostering and encouraging links between individuals and groups in Ayr and St Germain-en-Laye, near Paris, Ayr’s twin town. Traditionally, members make friends with French people with similar interests and visit for short periods, staying in family homes as guests, not as tourists, and visits are then reciprocated by French guests, who come to Ayr. The annual Burns supper has grown in size and scope and is now an anticipated and well-loved part of both associations’ calendar. 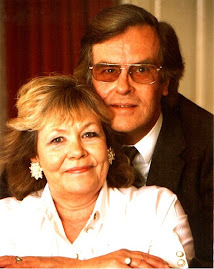 Provost Helen Moonie said: “Burns would have loved the idea of twin towns and he’d have embraced the fraternity and kinship all of this involved. He'd have been overjoyed to see Ayr and St Germain marking the 30th Burns Supper in his memory and his honour. “Building on the superb relationships and traditions the Ayr and St Germain Town Twinners have developed, I’ve been working to develop wider economic, tourism, leisure and sporting opportunities between both associations and areas. 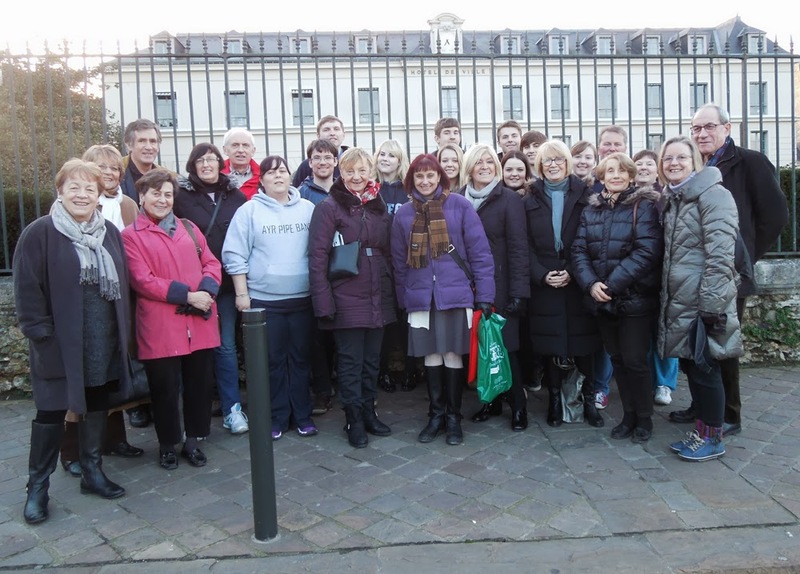 “In addition to the ongoing and highly successful educational exchange visits we already enjoy, rugby and tennis events are in the pipeline and, tapping into the rich musical heritage of both areas, plans are already well advanced to host choral and musical events to showcase both cultures locally. Provost Moonie concluded: “It’s clearly an exciting time for town twinning as we begin to realise the true potential and power of such arrangements, over and beyond the traditional exchange visits and occasional cultural events. South Ayrshire Council is a Founder Member of the Elite Ayrshire Business Circle.